In “NDT” and “YDIYM” I offered a new view of personality in contravention to the prevailing consensus of learning theory, i.e. 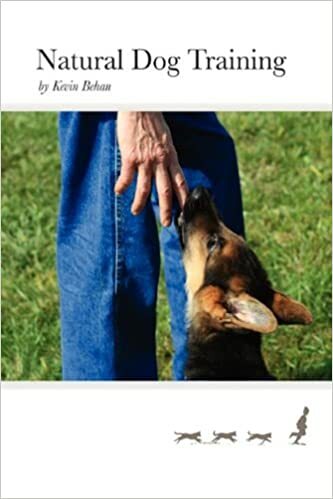 that reinforcements and instincts are enough to account for the complexities of how a dogs’ behavior changes over time. I discovered that two dogs living together and treated exactly the same (even were this 100% possible) nevertheless gravitate toward different emotional polarities so that they become their equal and yet opposites. My theory is wholly consistent with the finding described in the NYT article linked above. 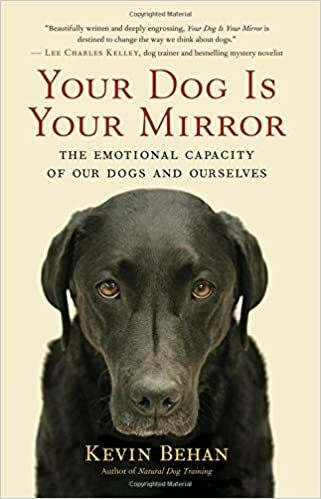 In contrast, owners, behaviorists, biologist, ethologists, trainers have ascribed this variability in behavior, learning style and overall disposition, to the dog’s personalities and genetically encoded instincts. Furthermore this pattern of variation, one aspect of it being the phenomena of personality, is indicative of an underlying template that organizes all acts of learning and any instance of behavior changing over time. I predict that the mainstream will invoke epigenetics to account for new findings such as these, but this will not prove to be an adequate explanation since it is predicated on a faulty foundation, i.e. the random variability of genes. An immediate-moment analysis of behavior reveals that genes subscribe to this underlying template as well. In fact the very phenomenon of sociability is a manifestation of this template. The first traits of organisms (in service to interactions with other organisms) are the predator and prey polarities, and then in response to resistance these traits evolve into male and female in higher organisms, and then an infinite gradient of Active–Reactive—Direct—Indirect, encoding for what we have traditionally recognized as personalities. These are increasingly complex elaborations of the first traits, prey/predator, each the emotional counterbalance to the other. I hope further posts will expand on this as it applies to play. Watching dogs adapt to each other through changing playstyles–and seeing those styles change as the dogs grow up or grow older, or have different experiences both inside and outside the home, is really fascinating to me. There’s always some kind of role-playing, except perhaps in one-on-one person and dog fetch games, and the roles change. I had a visiting dog for a few days. I looked outside and was struck to see that my dog was lying in the sun; the other dog in the shade. They chose opposite spots. Day and night! There’s a lot about play scattered across a number of articles, but the basics to the phenomenon is that play, or any interaction for that matter, is two or more individuals establishing a wave in their collective movements. This is effected through the phenomenon of emotional projection so that they experience the movement of the other being as an internal movement of their own p-cog. As they perfect the wave form, each the feedback device for the other—-(This is not a rational process as in “if I do this then YOU will do that.”They’re not referencing the other as an entity in its own right, but as a feedback device relative to their own p-cog. Sociability, cooperation and altruism follows logically from this construct of a Self, whereas it does not in Neo-Darwinian logic as one self in competition with another self. )——they refine their feeling of their internal and actual physical center-of-gravity so that they feel in perfect counterbalance with their partner. At this point they become uninhibited in play and are able to float in mi-air, twisting and turning in perfect sync with their partner, collapsing from time to time in physical contact and making, and then taking off to fly again. The flipping of roles from predator to prey polarities, effects this mirroring process and refines it down to a point, at which point, they feel where they should grip or make contact with their partner. Canine play is our best window into the universal code of conduct and communication by which all animals interact with others and with the world. Yes, yes, yes! definitely much more like noncompetitive “pretend play” than like rule based play with winners and losers (unless, of course, they get into it over just who gets that toy just then). Hi Kevin, Oakley loves to chase other dogs but no longer flips over or shows his belly. He used to with one dog when he was younger but now he just wants to run around and chase. Does this mean that he doesn’t know how to play or to feel the flip in polarity? How do you get him to be uninhibited and vary his play? If you maw and play with him by flipping and flopping yourself, then you can increase his capacity to do so with other dogs. Does he have a good bark on command?